The chaos of Black Friday gave Birmingham&apos;s high street retailers a much-needed boost, according to new figures. Shops in the region saw the second biggest rise in year-on-year footfall, with November&apos;s figures up 1.5 per cent on the same month in 2013, according to figures from the British Retail Consortium (BRC)/Springboard Footfall Monitor. The phenomenon imported from America has been criticised for causing chaos, including some shoppers brawling as they competed to get their hands on bargains. However, footfall for the three months covering September to November was still down 3.2 per cent year on year in the region, the biggest three-month dip in the UK. Across the UK, high street shoppers in November were 2.4 per cent down on a year ago, suggesting the West Midlands bucked the trend. Out-of-town retail parks reported the only rise, 0.8 per cent higher than a year ago and experienced positive footfall growth for every month to date in 2014. But footfall in shopping centres was 2.1 per cent down on the previous year for November. Diane Wehrle, retail insights director at Springboard, said: "Footfall across the UK definitely took a turn for the worse in November, with the largest drop since February of this year. "However, the good news is that the fall is still lower than the 2.9 per cent fall in November 2013, albeit whilst last year November was on par with October, this year the drop is three times as large as the 0.8 per cent recorded in October. "Yet again it is high streets and shopping centres that are driving the decline in footfall, whilst footfall in retail parks remains positive, albeit a smaller rise than in previous months. "The results clearly indicate that the structural shift in consumer activity brought about by the internet is ongoing, and that it is largely out of town locations that are continuing to capitalise on this change." 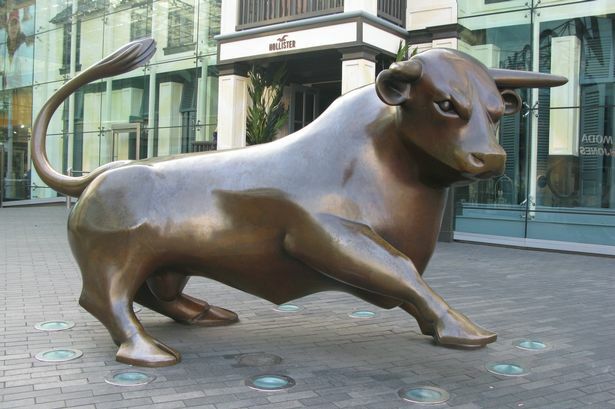 The news came as Birmingham retailers said they were optimistic they will see a strong end to 2014. More than 70 retail industry leaders and senior executives were polled at the recent Midlands Retail Dinner, co-hosted by Deloitte, Barclays and Eversheds at The Birmingham Repertory Theatre. An overwhelming 84 per cent are expecting retailers across the region will perform better this Christmas compared to last year. Meanwhile, over half (57 per cent) also said they expect consumer confidence in the region in the coming three months to be stronger than the previous three months. Mike Tomkins, non-executive chairman of online clothing retailer M&M Direct, attended the event and added: "After what has been a challenging year for retailers, it was refreshing to hear Andy Street&apos;s views, which were encouraging for retailers of all shapes and sizes. "There was a clear sense from guests at the event that retailers are expecting a strong Christmas this year – particularly online. Discounting is clearly welcomed by consumers but events like Black Friday and Cyber Monday have meant that the traditional Christmas shopping period now starts much later in the year. "This has prompted concerns about the sustainability of intensive discounted trading as online retailers and couriers adapt to an ever-more frenetic shopping period." BRC director general, Helen Dickinson, said figures suggest people are buying more non-food items per shopping trip - likely due to them having researched their potential purchases online or having chosen to &apos;click-and-collect&apos;.